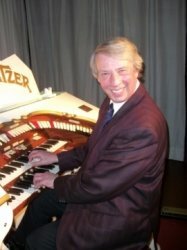 I have been a professional musician for over 25 years playing the organ for concerts and other functions. As well as teaching in several of my local Schools, I give private lessons in the comfort of your own home. I can be fairly flexible on visiting times, be it weekly, or just occasionally. Lessons can be tailored to suit individual reqirements be it for exams, or simply playing for pleasure.